Surnali is a very soft dosa and the texture matches with a pancake. Here I have posted the sweet version of the dosa. We call it God Surnali. In konkani god means jaggery:-) You can also skip the jaggery and make it non sweet. We call it Chappe Surnali. God Surnali is my favorite:-) Try making these delicious wonderful dosas and enjoy!! For kids you can make tiny Surnalis. They will surely love it!! Some people add a pinch of turmeric powder to the batter, which gives good color to the surnalis. Soak rice and fenugreek seeds for two hours. Then grind all the above mentioned ingredients to a fine paste. Add water as required. The batter has to be thick. (if using flattened rice then, soak it in water for few minutes. This will make it soft). Ferment this batter for 8-9 hrs. 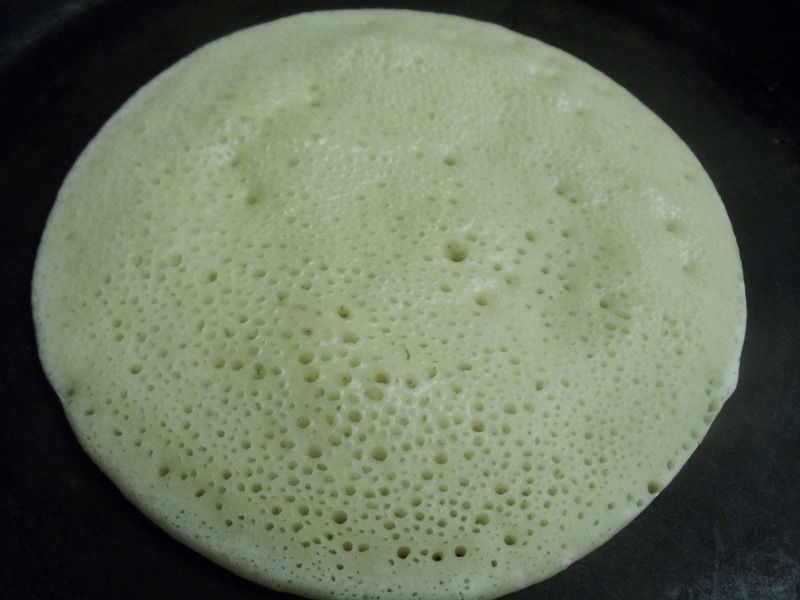 After 1-2 minutes (it might vary for you), the dosa gets cooked completely and its base turns light brown. Remove the dosa from the tawa (Since we have added jaggery there are higher chances of base getting burnt. So keep the heat low and have a close eye on the dosa). Surnali is ready!! Serve it hot with generous amount of ghee or butter:-) The non sweet Surnalis can be served with coconut chutney or any spicy dish of your choice. Above measurement serves 2-3 people. Note: If the Surnali is missing the tiny holes then the dosa will not turn out fluffy. 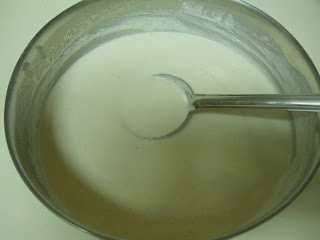 So add 1-2 pinches or a little more of baking soda to the surnali batter. This helps a lot to attain required texture! !